I don't suppose this will get much coverage in the States as the news is so good. No, the news is unbelievable. Something didn't happen in Al Anbar Province, Iraq, today. Once the most violent and most dangerous places on earth, no suicide vest bomber detonated killing dozens of voters. No suicide truck bomber drove into a polling place collapsing the building and killing and injuring over 100. No Marine was in a firefight engaging an Al Qaida terrorist trying to disrupt democracy. With the expectation of all of the above (suicide bombers) they walked miles (we shut down all vehicle traffic with the exception of some shuttle busses for the elderly and infirm) to the polling places. I slept under the stars with some Grunts at Combat Outpost Iba on the far side of Karma, and started driving the 200 miles up the Euphrates River Valley through Karma, Fallujah, Habbiniyah, Ramadi, Hit, Baghdad and back here to Al Asad. I stopped here and there to speak with cops, soldiers, Marines, and most importantly, regular Iraqi men and women along the way. It was the same everywhere. A tension with every finger on a trigger that broke at perhaps 3PM when we all began to think what was almost unthinkable a year ago. We might just pull this off without a bombing. No way. By 4PM it seemed like we'd make it to 5PM when the polls closed. At 4:30 the unbelievable happened: the election was extended an hour to 6PM because of the large crowds! What are they kidding? Tempting fate like that is not nice. Six PM and the polls close without a single act of violence or a single accusation of fraud, and nearly by early reports pretty close to 100% voted. Priceless. Norman Rockwell could not have captured this wonderment. Even the ladies voted in large numbers and their husbands didn't insist on going into the booths to tell them who to vote for. One of the things I've always said was that we came here to "give" them democracy. Even in the dark days my only consolation was that it was about freedom and democracy. After what I saw today, and having forgotten our own history and revolution, this was arrogance. People are not given freedom and democracy - they take it for themselves. The Anbaris deserve this credit. 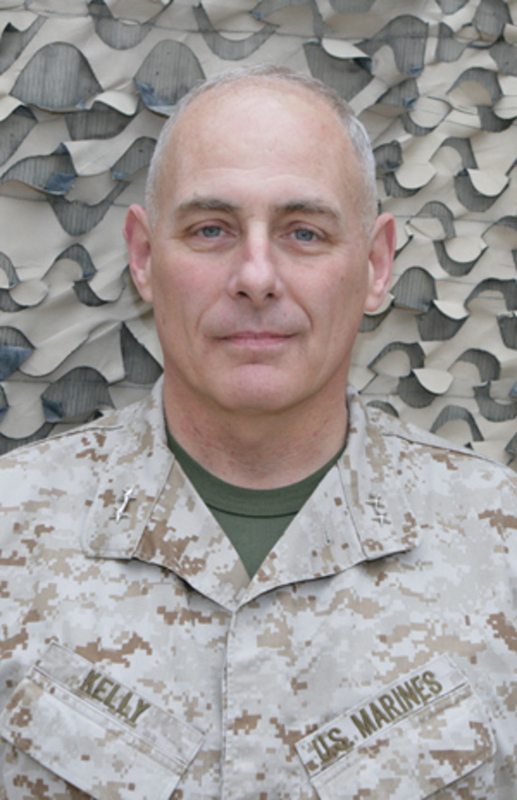 We've posted about Major General Kelly before. We're thankful to have Marines like him leading Marines like the one in the previous post.